Maggie graduated from the West Coast College of Massage Therapy's 2300 hr RMT program in August 2015. Prior to attending WCCMT, Maggie has provided spa massage at 5 star resorts in both Victoria and Whistler full time since completing a 1000 hour massage training program in San Diego California in 2004. 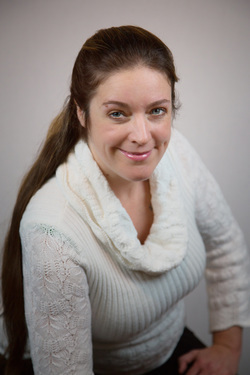 In San Diego, Maggie held respective certification as a Holistic Health Practitioner ( 1000 hrs), Licensed Massage Therapist ( 500 hrs) and Nationally Certified Massage Therapist. In San Diego, Maggie practiced massage therapy at a variety of clinical settings beginning in 1999 until her return to her home in Victoria in 2004 where she changed her career direction to provide spa massage. Maggie brings to her practice a diverse influence from both her career and training in the United States which included an appreciation of Eastern medicine practices such as Shiatsu , as well as unique touches learned from her career as a spa massage provider. Maggie has been very excited to further her education by attending WCCMT to deepen her understanding of the therapeutic application of massage. Maggie is committed to the journey of continuous learning and providing safe effective care as a healthcare provider. In addition, Maggie is a serious practitioner of the martial art Aikido for the past 22 years. Intensive study of the martial art Aikido with a traditional Japanese teacher was originally what led her to San Diego to live in 1996 until 2004. ​Maggie is delighted to join the team at Mandala and serve the community in the West Shore where she lives with her husband and three year old son.